Once again the sleepy Welsh town of Abergavenny illustrated its growing cultural ethos for their love of good foods and appreciation of independent producers at its annual festival. Seen as ‘The Don’ of all food festivals, the place was teaming with celebrities from the culinary world including the likes of Israeli chef Yotam Ottolenghi, the South West’s own Fabulous Baker Brothers, and renowned Michelin starred chef Pierre Koffmann. Visitors flocked from across the country to the event, and with an estimated foot fall of 30,000 over the two days it was all hands on deck for the exhibitors and event organisers. The produce on display included local cheeses, ales, chutneys, wines and sugary treats for those with a sweet tooth. 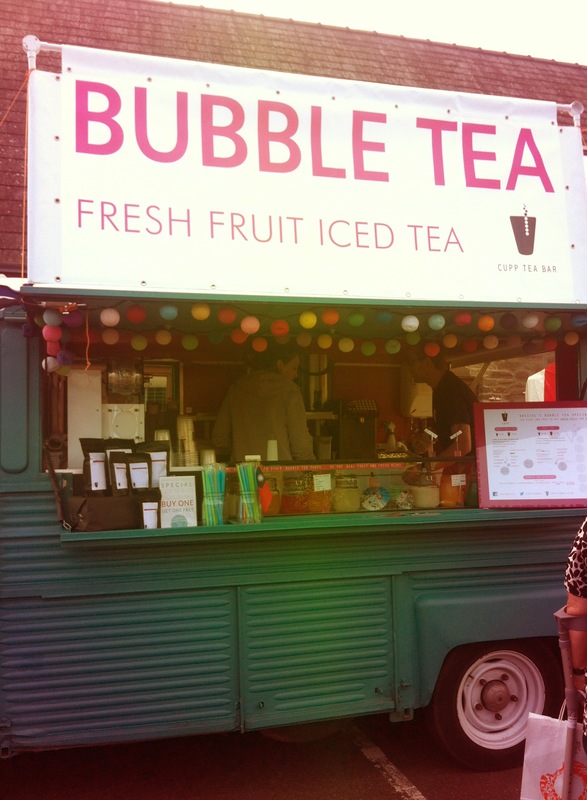 Oh and of course there were some tea stalls there! We loved the green jasmine and mango bubble tea! We arrived at the site early on Saturday morning, it was one of the first days this year you could feel that autumn was in the air. As we made our way to the Lahloo pitch the atmosphere was lively, and there were many exuberant exhibitors making sure their stalls were ready for the on-coming stampede of eager foodies! 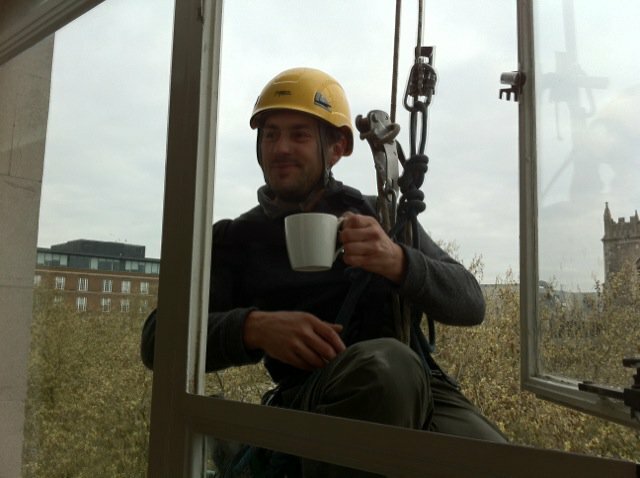 Neil getting the kettle on! The festival itself was an excellent way of promoting our beautiful selection of artisan teas to the general public and to prospective retail buyers. 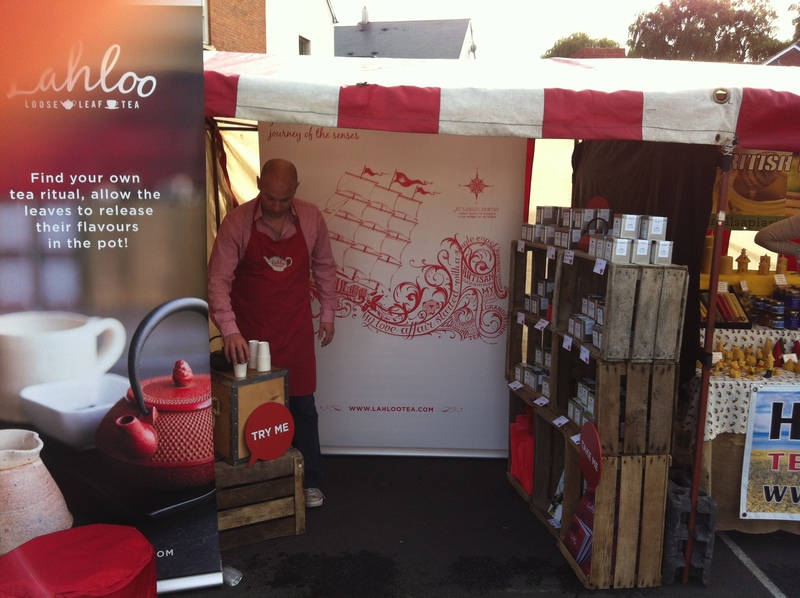 We met lots of loose tea fanatics, many were already Lahloo customers (which we were very pleased about!) However, we greeted with open arms those that were new to loose leaf tea, and invited them to join in the ways of Lahloo! Towards the end of the Saturday a young Welsh boy and his mum came running over to the stall, eager to sample “every tea you have please”. He was a very sweet boy with a real passion for tea- he drank loose leaf tea every now and again, but was tired and bored of normal bagged tea with milk. After tasting all the samples, he decided that our Himalayan Oolong was his cup of tea, he absolutely loved it! Turning round to his mum, he asked if he could buy a tin using the rest of his pocket money, his mum was more than happy to oblige! It was really gratifying to see someone so young exploring and developing their tastes through tea. On the Saturday afternoon Laloo Tea founder Kate took part in one of the infamous Rude Health rants. Taking centre stage at the Market Hall Kate ranted about the common misconceptions of green tea and why they were in fact not true. The main myth Kate tackled was the misconception of green tea being bitter- Kate passionately dispelled this view and explained that it was merely down to quality of the tea leaves, and the method in which it was made that affected its flavour. Let’s hope people took note and are now brewing up the perfect cup of green tea every time. I think the free samples of iced Jade Cloud tea Kate handed out maybe swayed peoples opinions- it is delicious! On the Saturday evening in the Old Market building team Lahloo relaxed after a busy day with a drink and a good old live food debate. Amongst those on the panel were Tom Herbert of Hobbs House Bakery and The Fabulous Baker Brothers, Carolyn Steele- a TED lecturer and writer of ‘Hungry City: How food shapes our lives’, and investigative food journalist Joanna Blythman. They tackled issues that currently affect independent producers and retailers, looking closely at the effects big corporations have on the success of the small businesses, and debating ideas of quality over convenience. All involved were inspiringly passionate for the cause and had great arguments for and against. We left feeling very motivated and valued by this community, our intentions as a small business were confirmed. We just want to give you good value, ethically and locally sourced goods at a good price!! This weekend Lahloo will be at the fourteenth edition of the Abergavenny Food Festival! With around one hundred and seventy stalls spread through five different venues, this festival is the Cannes of the food world (as journalist Joanna Blythman described it! ), with the best food and drinks and events such as masterclasses, tutored tastings or chef dems. You can download the full Abergavenny programme here, with information on stalls and events, and maps to guide you through the different venues. What are you going to eat this Christmas? Come to the Abergavenny Food Festival’s spectacular Christmas Food and Drink Fair on Sunday 5 December (10.00am to 5.00pm). Whether your taste runs to the rare and exotic, the innovative or the traditional, this is the time to fill up your cupboards, firm up your menus, liven up your culinary plans and have fun while you are doing it! There’s so much on offer. From an unrivalled foodie shopping experience to inspirational masterclasses, tutored tastings and demonstrations, there really is something for everyone. And it’s very much a festive family event, with free entry to all children under 16 (if accompanied by an adult). 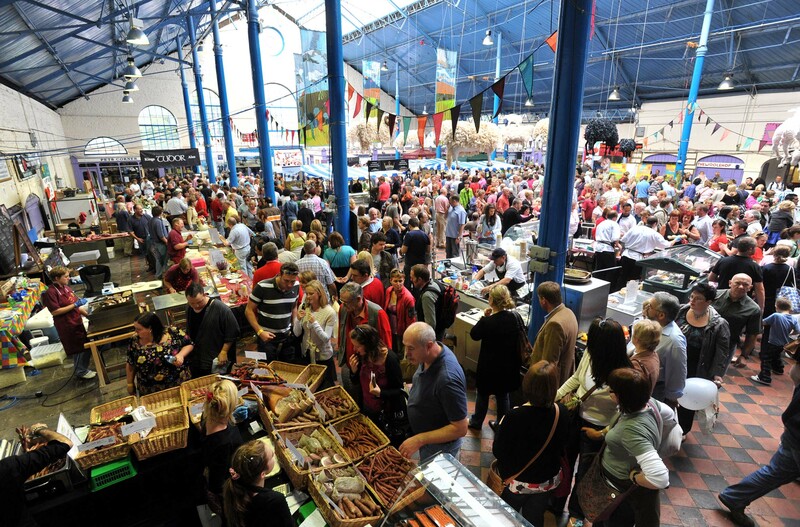 Featuring over 60 of the best local and regional speciality food producers offering fresh and cured meats, poultry and game, cheeses and chocolates, gourmet teas, cakes and desserts, wines and liqueurs, ales and ciders and more. We always knew they were great places but it’s great to see four Lahloo Tea stockists receiving nationally recognised awards for their fabulous food, drinks and hospitality. Congratulations! You deserve it! Stephen Terry picks up the AA Restaurant of the Year Wales Award for his Abergavenny restaurant, The Hardwick. Known for its mighty reputation as an outstanding place to eat and drink, Terry’s restaurant was expanded in time for this year’s Abergavenny Food Festival to offer visitors an astounding place to stay. 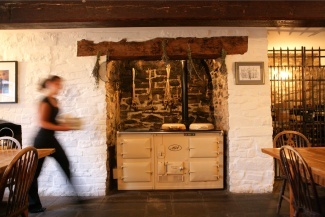 The Hardwick is a gastronomic hideaway in the heart of Wales’ lush, verdant hills . I love driving over the Severn for a Sunday walk followed by a cracking roast. And now they have 8 contemporary bedrooms, combining elegant, understated design with Welsh charm. The ultimate autumn gourmet getaway. The Felin Fach Griffin, a dining pub with rooms, nestles between The Black Mountains and the Brecon Beacons, near Hay-on-Wye. Charles Inkin likes to think that everyone’s time here is as relaxing as staying in someone’s home. 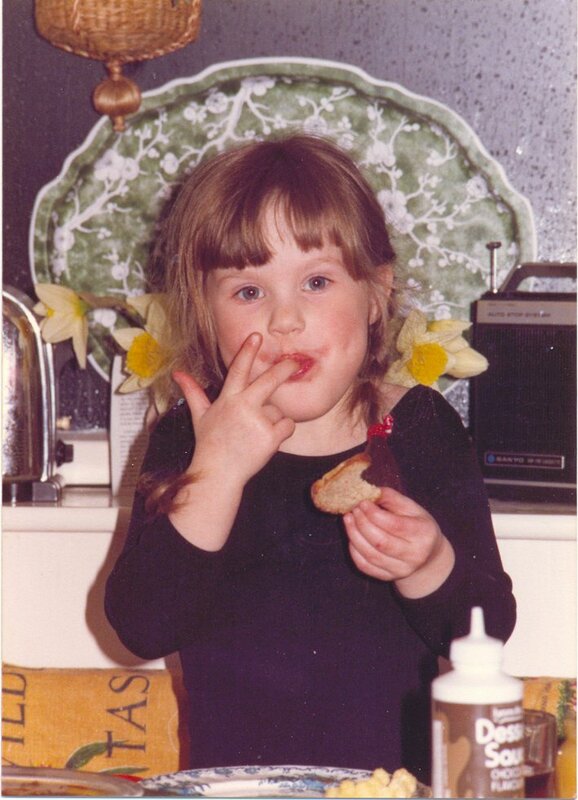 The ethos behind EatDrinkSleep is the simple things in life done well. And things are done very well here – I can vouch for that! The Felin Fach Griffin’s sister, The Gurnards Head, is in the most beautiful part of Cornwall perching on the cliffs high above the Atlantic between St. Ives and St. Just, near the Minack Theatre, Zennor, Penzance and Newlyn.With the same ethos as The Felin Fach Griffin, this is another very special place. 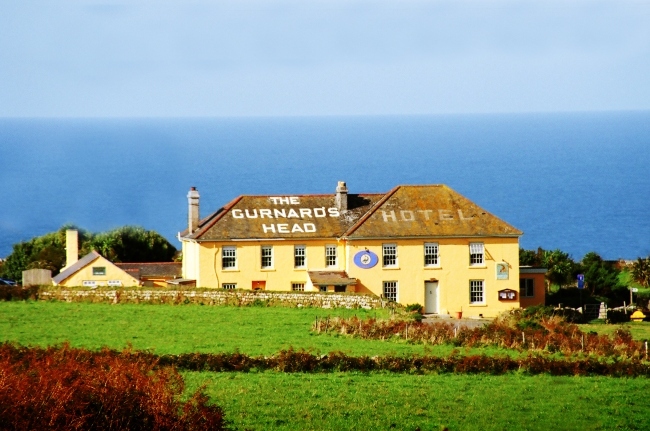 You will truly unwind you as you enjoy one of the country’s most dramatic coastlines. And the salty air is proven (I can vouch for that) to make you sleep deeply in the most comfortable beds. Eat simple, earthy and delicious food. A proper country pub! Rustic, log fires, flagstones, beams, comfy worn chairs and sofas, Barney and Rubbles (the owners’ dogs), garden-fork door handles, spade beer pumps, board games, an excellent locally sourced seasonal menu, range of wines by the glass, home-made seasonal cocktails using local or home-grown fruit and of course fantastic tea! Go and see ‘The Blaze’ at Westonbirt Arboretum, stay at The Potting Shed’s sister hotel, The Rectory, overnight and then stroll over to The Potting Shed for a lazy Sunday lunch. 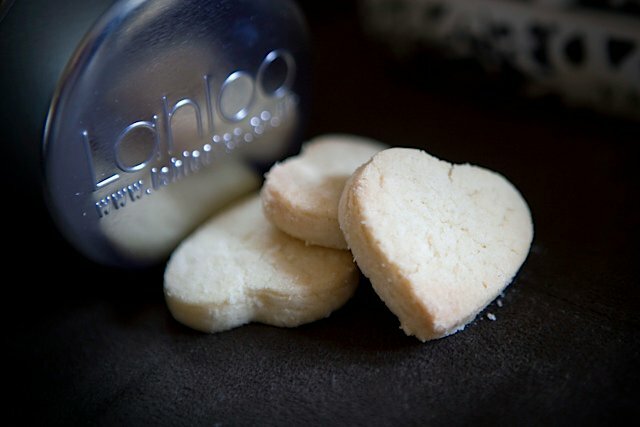 The fabulous Walnut Tree Restaurant is now serving Lahloo Tea….. I feel very lucky that I have been treated to lunch at The Walnut Tree restaurant in the gorgeous countryside just on the edge of the Black Mountains near Abergavenny. If you haven’t had the chance to eat at The Walnut Tree, then I hope you have plans to do so as soon as humanly possible! Don’t worry if you live further than we do (about an hours drive from Bristol), they have lovely accommodation so you can sample the fantastic wine list as well as the food. Or maybe head to the fabulous Abergavenny Food Festival and make a trip to taste Shaun’s food (just remember to book). 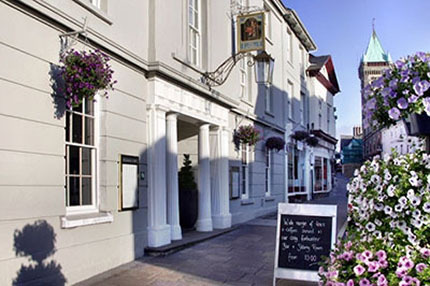 The Walnut Tree has been a famous inn and restaurant since it began in the early 1960’s. It is now run as a joint venture between Shaun Hill (see above) and William Griffiths. The Walnut Tree offers proper dining and drinking in an informal setting. Join them for a glass of good wine and a plate of something delicious or sit and savour a full lunch or dinner in the welcoming inn. 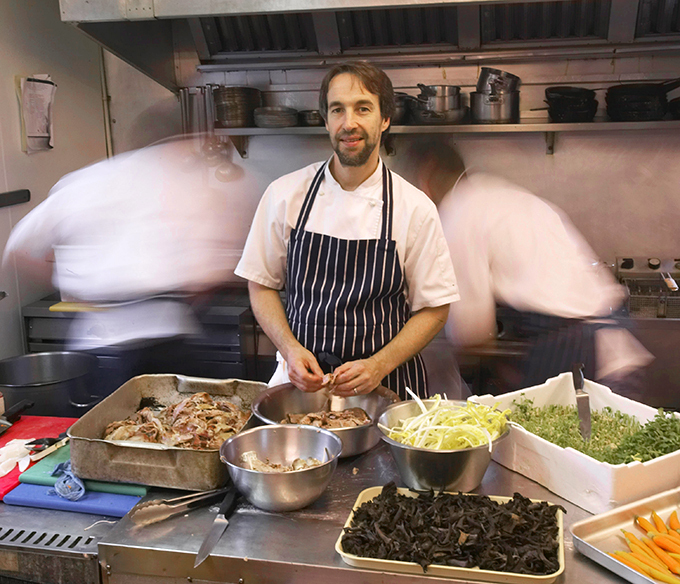 The menu is an eclectic mix, based on Shaun’s personal taste and sound cooking techniques, rather than any particular country’s cuisine. Shaun and his team have this year earned a coveted Michelin star in recognition of the food being served and the team serving it. Well done! When I first contacted Shaun to introduce him to Lahloo Tea and to see if he would like to serve our tea at The Walnut Tree, I did so with some trepidation. You see I knew that Shaun also oversees the long-established restaurants at Fortnum & Mason. Especially, St James’ Restaurant where he oversees the tea menu. He really knows – and loves – his tea! He really appreciates the difference between a Golden Assam and a high mountain Second Flush Darjeeling. I needn’t have worried. After our initial chat over a lovely cup of Jungpana Darjeeling over a year ago, Shaun enjoyed Lahloo Tea so much so, that he asked me to keep in touch. So I did! And now I’m happy to say that you’ll now be able to sip a delicious cup of tea after your meal at The Walnut Tree.